You are not the only person who asks the question! Eggs are among the most nutritious foods on our planet. A single egg contains all the nutrients needed to create a chick. Despite this, eggs have a bad reputation and many people say that we should not eat yellow. 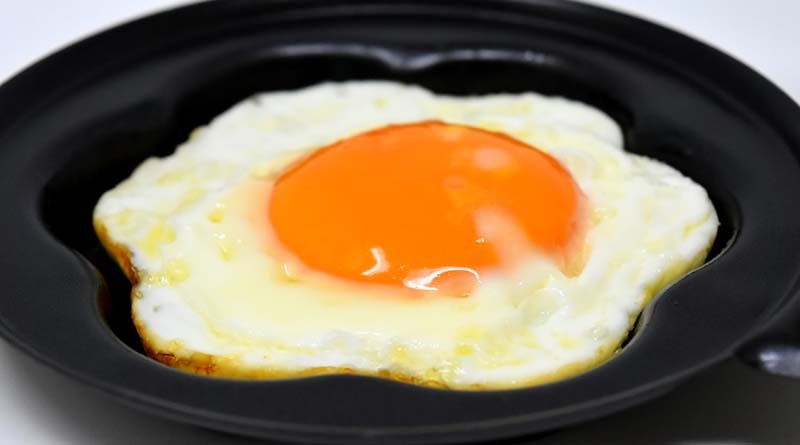 After all, a medium-sized egg contains about 186 mg of cholesterol which accounts for 62% of the daily recommendations. But what people do not know is that eating cholesterol will not necessarily raise cholesterol and help you die from the heart. Here we will explain how you can safely include eggs in a healthy diet. Eggs are packed with nutrients – yellow and white provide several essential nutrients. Egg yolk contains vitamins A, D, E and B12, riboflavin, selenium and folic acid. White is a good source of high-quality protein. With 5g of fat per egg and no trans fat, eggs can be eaten easily while respecting the recommendations for daily fat consumption. Some eggs contain omega-3 fatty acids that can help protect you from cardiovascular disease. Canada’s Food Guide recommends that adults consume two or three servings of meat and alternatives per day. Since the eggs are rich in nutrients, two eggs are equivalent to a portion of the meat and alternatives group. Your body naturally produces cholesterol, a substance similar to fat. It helps your body produce the hormones it needs. The amount of cholesterol (both naturally occurring and from food) in your body is sometimes referred to as “blood cholesterol level”. Cholesterol is also found in foods of animal origin, including eggs. It is the cholesterol of food origin. Nowadays, research has shown that hypercholesterolemia can have various origins. Genetics, body weight, and blood lipid levels all influence how your body responds to the presence of cholesterol in food. In general, it is important to limit your intake of high cholesterol foods as well as saturated and trans fats. This is the first step in the prevention and treatment of cardiovascular disease. An egg contains about 186 mg of cholesterol which are mainly in the yolk. Like most foods, eggs should be eaten in moderation. Eggs can be a healthy choice if you limit your consumption of other foods containing saturated and trans fats. A healthy person without hypercholesterolemia or diabetes or a history of heart disease can eat an average whole egg a day. This does not increase the risk of cardiovascular disease. If you have high cholesterol, diabetes or heart disease, you should limit your whole egg intake to two a week or less. This will help prevent cardiovascular disease. Limit your intake of eggs and other foods high in cholesterol and saturated and trans fats. Eggs are nutritious and provide a good amount of quality protein that can meet your child’s energy needs. Consumed in moderation with healthy and varied foods from other food groups, eggs can be a healthy choice for children. Canada’s Food Guide recommends that children ages 2 to 8 consume a portion of the meat and alternatives group each day. Children ages 9 to 13 can consume one or two portions of this food group each day.